South Africa should drop the VAT on white bread and flour, sanitary pads, school uniforms and nappies, says a panel of experts appointed by Treasury. The panel was appointed to propose ways to soften the blow of the hike in VAT this year from 14% to 15%. Its recommendations would cost the fiscus about R4 billion in tax revenue of which R2.8 billion would be a tax break for the poorest 70% of South African households, according to the panel’s calculations. That was close to the extra tax burden of R3.1 billion that the higher VAT rate this year imposes on the poor, according to the panel’s calculations. If adopted, the recommendations would amount to about a 10% increase in the cost of zero-rating – the existing zero-rated items cost Treasury roughly R26.9 billion in a year. The elephant in the room is, however, chicken. On the face of it there is an excellent economic argument for zero-rating South Africa’s multibillion-rand chicken market, but the experts on the panel were split on it and their report ultimately advised against it. This was partly because companies in the highly concentrated chicken sector would very likely absorb the benefit for themselves without actually lowering prices, the panel’s report, released on Friday afternoon, said. If all poultry was zero-rated it would be a R6 billion tax break for consumers, of which R4 billion would go to the bottom 70%. If only individually frozen pieces of chicken, the format most consumed by poor households – but also fast-food restaurants – this tax break would be more like R3 billion, said the panel in its report. That was more than the entire VAT relief for which the panel’s ultimate recommendations provided. Baby formula was also, on economic grounds, a good candidate for zero-rating, but the health department convinced the panel that South Africa should not be promoting this second-best form of infant nutrition with tax breaks. The panel is advisory in nature and Finance Minister Nhlanhla Nene must now consider whether he will implement all or any of its recommendations. The panel was formed in response to the predictable outrage when Treasury raised the VAT rate this year to receive an estimated extra R23 billion. The impression that this was a knee-jerk response to the negative response was bolstered when the initial terms of reference were rapidly amended. 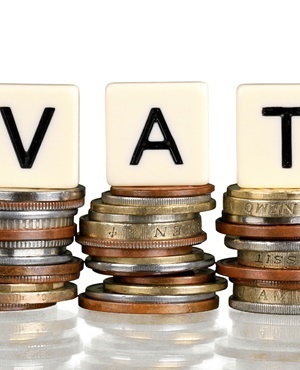 VAT is widely regarded as the most regressive form of taxation because it is disproportionately paid by the poor, including those who earn too little to pay income tax. The panel was meant to identify new zero-rated items to ameliorate the effect of the higher VAT on the poor and also evaluate whether to keep the current list of 19 zero-rated items. The methodology was to use Stats SA’s Living Conditions Survey to identify products disproportionately consumed by poorer people. In doing so, the cut would not amount to a tax break for the wealthy. Bread and flour were easy choices – and the panel was unanimous about cutting VAT on tampons and pads. R111 million for sanitary pads, of which R53 million goes to the poor. The panel received 157 submissions with many calls for scrapping VAT on everything from pet food to data bundles, TV licences and polony. One of the groups that made substantial submissions to the panel, the Institute for Economic Justice (IEJ), released its own research this week arguing for a far larger list of new zero-rated items. The IEJ is a think-tank that provides pro-poor economic policy analysis. “Excellent candidates” for zero-rating included major items, such as chicken and airtime, as well as soap and children’s clothing in general, in addition to school uniforms, the IEJ’s report said. It used the same econometric method as the expert panel, using the same Stats SA data to identify all items that – based on economic considerations – would be good to zero-rate in that they are disproportionately consumed by the poorest 70%. Zero-rating the list of goods identified by the IEJ would cost R17 billion in VAT revenue, but 62% of that would accrue to lower middle-class and poor households, defined as the bottom 70% of consumers. At the same time Treasury could partially plug the hole in the budget by raising the VAT on “luxury” items from the current 15% to 25%, said the IEJ. The luxury items it identified were almost entirely consumed by the richest 10%, including cars, aeroplane tickets, hotel stays and swimming pools. A 25% VAT rate on this list of goods would bring in an additional R9.6 billion, calculated the report’s authors, economists Lindokuhle Njozela and Gilad Isaacs. Most of this related to vehicles, but the point was to illustrate how a relatively modest additional tax on the rich could raise significant revenues, Isaacs told City Press. These numbers assume that the changes in VAT rates would not affect consumption patterns and that companies would not abuse the removal of VAT from new items by simply raising the pretax prices. The panel’s recommendations were only recommendations and Treasury is famously opposed to zero-rating new items. It’s stance had been bolstered by the Davis Tax Committee. The committee’s final report on VAT was released in March and made the “strong recommendation” that no new items be exempted from VAT. The committee, led by Judge Dennis Davis, recommended that South Africa not adopt multiple VAT rates, such as the higher rate on luxury goods proposed by the IEJ. Isaacs said the Davis committee’s opposition to zero-rating had no real substantiation. Traditional arguments against zero-rating items is that large parts of the tax relief ended up going to the rich simply because the rich spent more. In the budget review released in February, Treasury pointedly said the whole purpose of zero-rating was to target “basic food items”, a stance that would exclude most of the items proposed by the IEJ. The expert panel’s terms of reference included looking into new zero-rated items, but also evaluating whether the current list of 19 zero-rated items should be retained. When evaluating possible new zero-rated items, the panel had to consider the benefit to the poor, but also the “likelihood of producers and/or retailers passing the benefit on to customers” and the effect on tax revenues, among other things. In Friday’s report the panel said there was little evidence that brown bread being zero-rated predictably determined its price relative to white bread, on which VAT is currently payable. But the price difference did hover around 12%, which was close to the effect of VAT. This was a legitimate concern, said Isaacs. “The issue for us, however, is to first identify the items where zero-rating would benefit the poor. “Then you look for evidence of a pass-through effect and mechanisms for enforcing that,” he said. Some members of the panel believed it was very unlikely that removing VAT from chicken would really benefit consumers because of the market structure of the industry. This was despite chicken being a major “basic food” and a good candidate for zero-rating, based purely on economic considerations. The panel took as a starting point that only frozen chicken parts should be considered for zero-rating. Even then, they feared retailers and producers would slip other products into the VAT-free net. It would also promote imports “while the benefits would likely be captured by highly concentrated local producers rather than low-income households”. This week’s report by the IEJ identified many of the same candidates for zero-rating as the expert panel. The two reports had slightly different estimates of the costs and benefits because the panel made further adjustments to the Stats SA data to capture underreporting and inflation. According to the IEJ, the case for zero-rating chicken was as follows: zero-rating could provide tax relief totalling R2.64 billion to the poorest 70%; the richest 30% would score R1.35 billion. This led to a “benefits-cost ratio” of 1.96 – the poor would get twice the benefit than the rich. In the case of airtime, zero-rating would theoretically put the same amount of money into the pockets of the bottom 70% as into the pockets of the top 30% – R2.1 billion and R2.07 billion, respectively. Consequently, the case for zero-rating airtime was weaker. The same high ratios applied to baby and children’s clothing, although these were nowhere as high as the ratio for flour, which was extremely high, making a strong case for zero-rating bread and cake flour. The IEJ identified “luxury” items that could be given a higher VAT rate by seeing which goods were mostly consumed by the top 10% richest South Africans. Putting an additional 10% VAT on cars, bakkies, four-wheel drive vehicles and station wagons would bring in R7.4 billion in tax revenue, the IEJ analysis said. Doing the same to air travel, hotel stays, swimming pools and a number of other items dominated by the top 10% could bring in R2.2 billion more, it said. Do you think it would be feasible to increase VAT on luxury items to ease the burden on the working class? SMS us on 35697 using the keyword VAT and tell us what you think. Please include your name and province.